Norway, a neutral nation, was invaded by Germany on April 9, 1940. King Haakon and the Norwegian Government escaped to England. At the time of the invasion Norway had the fourth largest merchant marine fleet in the world. 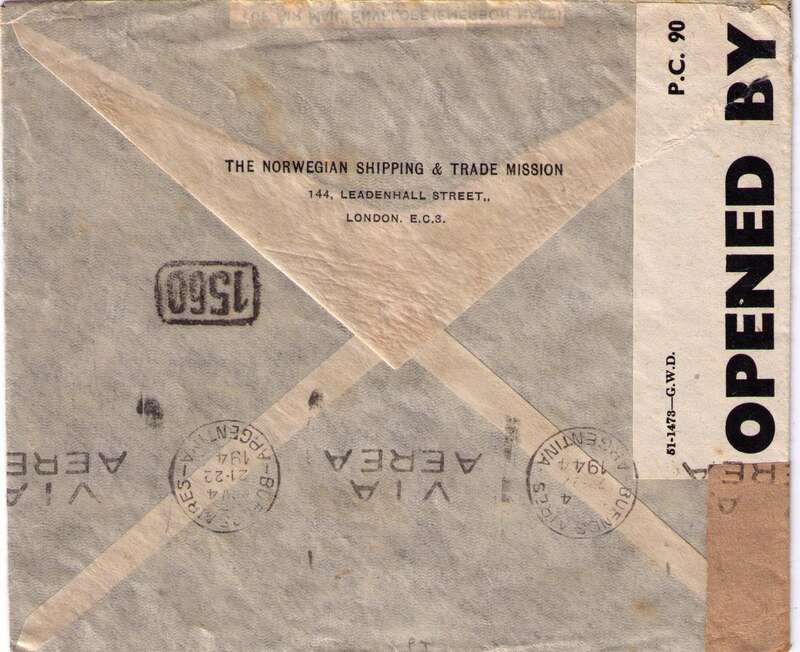 The Norwegian authorities in exile in London established The Norwegian Shipping and Trade Mission ("Nortraship") in order to control the Norwegian ships outside Norwegian waters. Nortraship vessels took part in the evacuation of Dunkirk and the Normandy Landings. 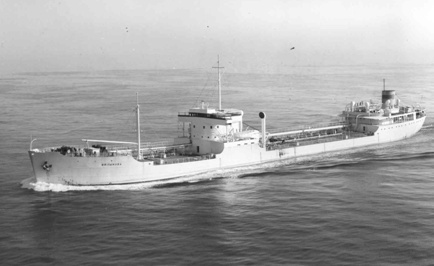 Essential supplies from the USA to Britain and the USSR were transported by Norwegian ships. At the end of the war, Nortrahip was disbanded and the vessels returned to their owners. 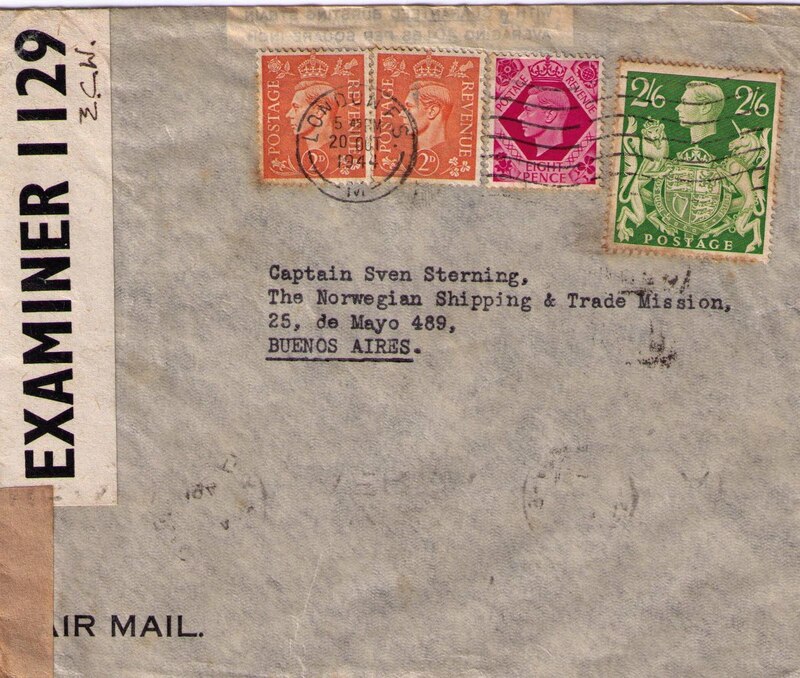 The cover below was sent from Nortraship headquarters in London to its outstation in Buenos Aires, Argentina. 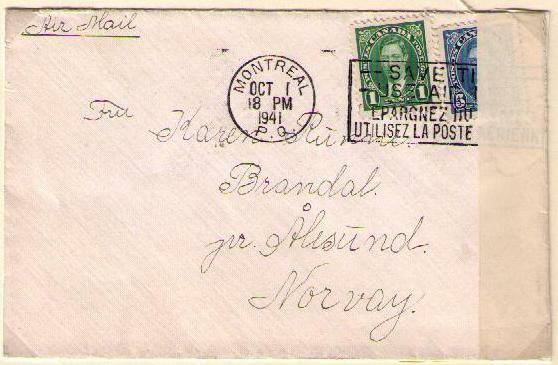 The cover shown below addressed to Alesund, Norway, received a Montreal cancellation on October 1, 1941. 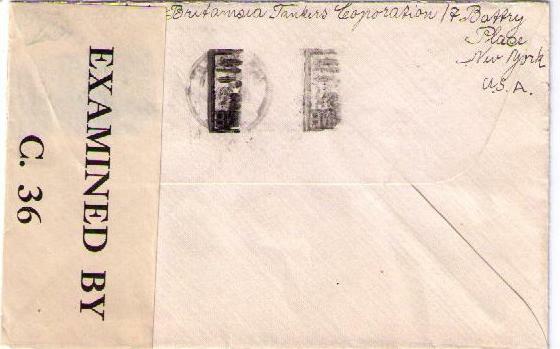 The return address is from a Norwegian Merchant seaman, P. Brandal, c/o M/T Britamsea Tankers Corporation, 17 Battry [sic] Place, New York U.S.A. 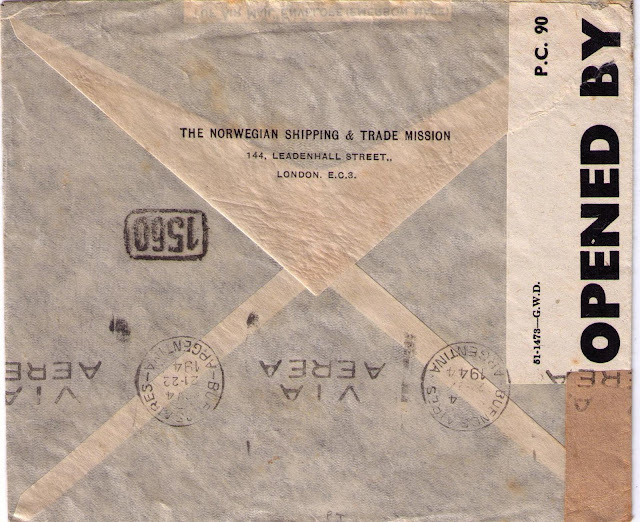 Since Norway had been occupied by Germany since 1940 and there was no mail service from Canada to Norway, the delivery to Norway was effected through an undercover address network. The significance of the package forwarding services is quite high when it comes to the businesses. Every company requires sending off goods to the customers deliver and that’s why it is strongly recommended hiring the expert company that is responsible enough to deliver on time. We also are using courier services Dallas and are satisfied with the quality of their work.